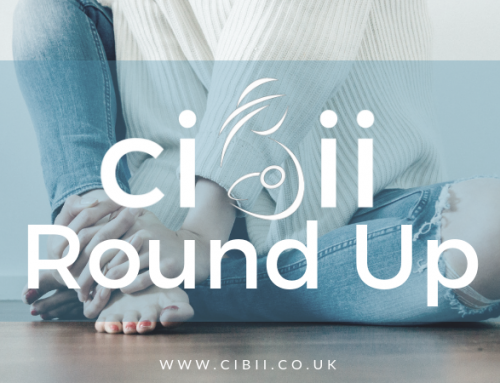 Ethical Round Up 7th February | Can I Breastfeed In It? This Round Up Special is dedicated to those brands with an ethical and sustainable focus. Enjoy! ASOS’s eco edit showcases products where ASOS has worked with suppliers to ensure sustainable products supporting communities and the environment. This fun denim jumpsuit can be worn alone, or pop a crop top or long sleeved top under to stay warm. Drop a strap or unbutton to breastfeed with ease! This adorable heart print swimsuit is a breeze for breastfeeding. Pull a cup to the side or undo the halterneck for access. This classic pinafore dress is made from a comfy corduroy fabric. You can unbuckle a strap to breastfeed. Best of all it has pockets! Lucy and Yak pay their tailors four times the minimum wage and have worked hard to ensure a comfortable working environment for their employees. Lucy and Yak dungarees are a favorite for our members! This design is made of mid-weight organic corduroy, lovely and soft with big pockets. It has self tie straps, which are useful for breasteeding access! This lovely leaf print shirt is made of rich cotton with real coconut shell buttons. Caring for people and the environment is important to Frugi. This soft cotton smock dress will take you from bump to breastfeeding. It features a lift up panel for feeding. It is available in three prints, Canada Geese Blue, Forest Floral Navy or Forest Floral Vermillion. H&M’s sustainability strategy of use of renewables and fair and equal treatment of employees has led to the creation of their Conscious brand. This classic v-neck blouse has a sewn-in wrapover with concealed hook-and-eye fastening for feeding access. Comes in black, blue/white striped and red/white striped colourways. This comfy tie-front wrap dress is made from wool and recycled polyester. Love this denim dress with v-neck wrapover front, and concealed press-stud. There is an inner top for easy nursing access. Monsoon are passionate about sustainability and committed to ethical trading. Make a statement with this bold geometric print dress. Self-tie front, 3/4 sleeves and trendy hanky hem. This lush loganberry dress has a retro gingham print. It features a self-tie and button front for easy breastfeeding access. This smart casual top is designed with a soft and stretchy jersey, so you can look and feel great whilst feeding! Zara’s collection of sustainably created pieces is called “Join Life”. This long dress has a lapel collar and a V-neckline. Featuring side in-seam pockets, and front button fastening for ease of access. This comfy caramel dungaree style jumpsuit features wide legs, side pockets and adjustable straps that you can drop for nursing access. People Tree are fair trade pioneers, and make their clothing from environmentally friendly materials. This shirt was designed in collaboration with the Victoria and Albert museum, and features a point collar and button placket. This scandi brand use eco-friendly fabrics and sustainable denim-finishing processes. These fab skinny dungarees have adjustable buckle straps and functional pockets! This bargain bodysuit is a pretty lilac colour and would be perfect for OUOD. This funky v-neck cami is loose fitting, so fab for layering and dropping a strap for breastfeeding. The Delfy hemp dress has feminine, fluted sleeves a round neck and a button placket at the front, this grey check dress is designed to be fitted at the waist, flattering the figure beautifully. Pair it with tights and boots for a versatile, office to evening style. Buttoned placket at front, elasticated back and waist tie are figure flattering. Made from a stunning exclusive vintage archive print, oh and pockets! Pair this printed shirt dress with your favourite pair of jeans for a cool, daytime look or with heeled boots for the evening. The Meena chambray shirt dress is sustainably crafted from Tencel. In a flattering fit, this tie waist denim dress features a chest pocket, button up front and contrast wash detailing. Pair it with your favourite sandals or white trainers for a casual daytime style. Crafted from durable hemp and smooth rayon, this printed shirt dress features a dramatic, exclusive design inspired by the raw plant shapes seen in British artist, Joan Eardley’s paintings. With a stand up collar, curved hem and flattering belted waist, this hemp dress is perfect for any occasion. Wear it with tights for an art-inspired, office to evening look. In a super soft bamboo and organic cotton jersey, this unique print top features a beautiful exclusive design. With a button up front, smart cropped sleeves and a rounded collar, this fitted bamboo top is ideal for wearing with your favourite jeans or skirt.